On the weekend whilst enjoying my usual morning cup of coffee, I started thinking about how the habit had come about since during my early years, drinking tea was such a huge part of my life. My lovely father Johnny was a creature of habit; you could set your watch by him. He was hard working, talented, and patient and had the best sense of humour. He was also a seriously dedicated tea drinker. Right on the dot at 7.20 am every morning he would knock on my door with the newspaper and a delicious steaming hot cup of loose leaf Lanchoo Tea. He did this every day until the day I married and moved out! At 7.30 am he would wheel his Honda 50 or ‘Postie Bike’ out and in all kinds of weather ride to the other end of town with his crib (Broken Hill/Cornish slang for food, provisions or light meal) and thermos of tea to begin his day as an Electrician on the North Mine. Johnny Wharburton – first on the left. Electricians going underground to electrify the shaft. They would literally be lowered down in the bucket behind them. At 4.00 pm the Mine whistles blew signalling the end of the day shift and the beginning of night shift. You knew for certain that Johnny would be wheeling in the gate at exactly 4.20 pm and the family gathering of afternoon tea would begin! In fact I can remember most of the mining families in our street followed the same ritual. Tables would be set with the Lanchoo tablecloths carefully saved for and selected from the catalogue, along with homemade biscuits, scones, patty cakes or fruit cake cut into very small columns. For me the words “drinking tea” stir up memories of drinking tea with the family, tea with my gran, ‘Billy’ tea on our family camping trips, thermos tea on our annual holiday trips to Adelaide, tea at smoko time on the property and tea at CWA … tea, how did we come together before tea! “Tea is certainly as much of a social drink as coffee, and more domestic, for the reason that the teacup hours are the family hours.” Arthur Gray – The Little Tea Book. So back to my thoughts and why now, I’m so fond of coffee. Barry and I went walking on the weekend and came across a delightful little coffee shop. We ordered a Latte and a Mocha which were promptly delivered with such beautiful, intricately decorated froth; we were slightly hesitant to drink them. For me now my morning tea in bed and afternoon family tea has been replaced with coffee shops and cafes, lattes and mochas. When and why did I switch my love and devotion from tea to coffee? On moving to Goodwood Station in the 70’s I was introduced to the ‘delicacy’ of coffee and powdered milk by my father in law. To this day, the memory of lumpy powdered milk floating in my coffee is enough to make me go many extra miles for fresh milk! In those days coffee making consisted of a teaspoon of International Roast, milk and sugar and hot water … that was it! Now we have Caffe Latte, Cappuccino, Macchiato, Piccolo, Ristretto, Espresso, Vienna, Mocha, Affogato, Long Black, Flat White – the list goes on. Recently when I had a spring clean I found a drip filter coffee machine, plungers, a vacuum machine, a pod machine, an espresso machine and a milk frother. It seems my love of coffee has developed into something of an obsession. Although I don’t drink as much tea now as I did in the ‘good old days’ and it’s certainly not such a focal point in my life, it will always be like an old friend who I look upon with great fondness. As my wonderful Dad used to say, “A cup of tea can fix anything”. 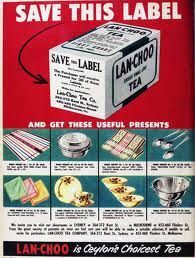 Do you remember saving the end of the Lanchoo tea packet and with great excitement be able to select a gift from the Lanchoo catalogue? Monday night was a rather long night with my grandson being taken to hospital in an ambulance with Croup. As always when I am on ‘Granny duty’ I don’t like to sleep on the job so try to stay awake as long as possible. I eventually succumb and easily drift off to the land of nod, but while I find it really easy to visit, the hard part for me is actually staying there … but today it’s 5.44 am and I have slept in. I can tell you I would really love to go back to sleep. What I want to share with you in today’s blog is an issue that faces many people and their families. The sad journey of watching a loved one tackle Dementia. In 1955 my mother-in-law, father-in-law and son Barry (my husband) adopted a baby girl called Sharon Maree and welcomed her into their lives. Sharon was 17 months old when they were told “rather brutally” that Sharon suffered from Down Syndrome. Up until this point they had no idea and were in total shock when the Doctor, who assumed they knew, pointed out her disability. Due to how little was known at the time about Down Syndrome, or Trisomy 21, my mother in law decided to search high and low and look for a ‘cure’ for Sharon. During this search she went back to the adoption agency to request some family history and was given the offer of returning Sharon and being given a replacement. Luckily for all of us this horrified the family. They refused the offer and kept our darling Sharon who has become such a vital member of our family. 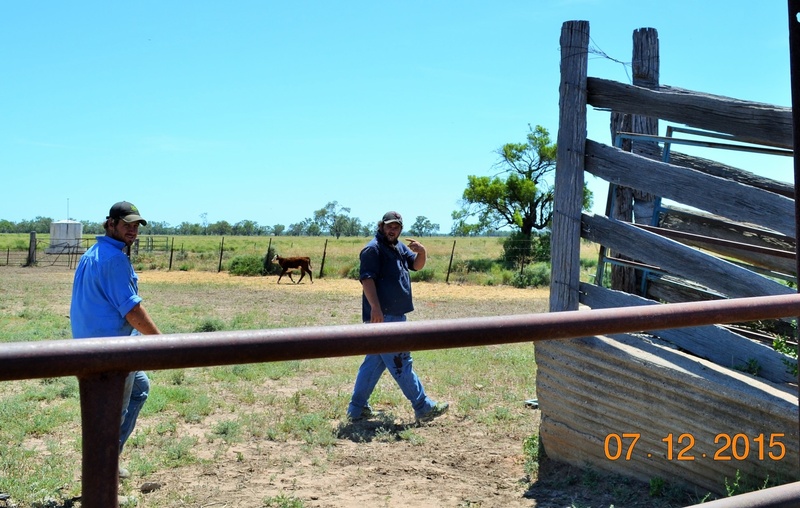 While Sharon spent her early childhood living on my in law’s sheep station 300 kms NE of Broken Hill, it was decided that she should be sent somewhere she could be provided with some extra stimulation to help with her delayed learning. Despite Doctors advising that she wouldn’t have any quality of life and was unlikely to live past 14 years of age, she proved them wrong by learning to walk and talk and even taught herself how to swim just by watching her brother! So in 1960 when Sharon was five years old, she moved to Broken Hill to board with the Sisters of Mercy at the Home of Compassion. Sharon still talks incessantly about Sister Malachy who taught her to iron, many of the other Nuns and teachers and, most lovingly, her boarding friends from Wilcannia. For me personally, Sharon came into my life 43 years ago when I met her big brother Barry. Originally when Barry and I married and had our first baby, Sharon had decided she wanted to get married and have a baby too. She soon changed her mind and exclaimed that men and babies were “too much work” and instead opted for the role of Aunty. Sharon really has been the most kind, caring and dedicated Aunty and now Great Aunty. In 2011 Sharon’s father passed away and Barry as eldest sibling took on the responsibility of looking after Sharon. It was her wish to live independently in her beautiful new house her father had built for her in Broken Hill. With the aid of the many wonderful services available to her, Sharon was able to achieve her wish of staying alone in her house and living independently. She began to take control of her life and make all her own decisions. They weren’t always agreed with, like the time she decided to dye her hair bright red and black which nearly gave her brother a heart attack! In November last year her independence came to a halt. Sharon had wandered out and become lost in 40 degree heat resulting in a trip to the Emergency Department with dehydration. We received a phone call at 10.30 pm from the Broken Hill Hospital telling us Sharon was being discharged and we needed to pick her up. When we travelled to Broken Hill the next day and met with her care workers they relayed events from the last two months and it was clear she was beginning to suffer from confusion and memory loss. We had realised there was some decline in her cognitive function but she had managed to hide from us how fast she was deteriorating. While we knew she would no longer be able to live independently and care for herself, the decision of moving into shared living accommodation ultimately lay with Sharon and she made it clear this wasn’t going to happen. She agreed to at least come and stay with us over the Christmas break whilst we discussed her options. Sharon decided after Christmas, while her day program was on holiday, that she would like to travel with us to Sydney to visit our daughter, son in law and grandchildren. On arriving at the house she walked around admiring everything and announced she wanted to live there. My daughter, son-in-law and three grandchildren welcomed Sharon into their lives and began the process of setting up a new life for her in Sydney. So the next and potentially final chapter of her life began in Sydney about six months ago. We were told her descent in dementia would be very rapid as this is a characteristic of people who have Trisomy 21. While she did begin to slightly improve over the last six months, and we saw glimpses of the old beautiful Sharon, it became increasingly apparent that it was not as permanent as we would have loved and she is once again beginning to descend into the darkness of dementia. Due to the commotion surrounding my grandson’s trip to hospital, she wandered around totally confused as to what was going on, not knowing whether she should be getting up and joining us or going to bed as we kept telling her. This went on until 1.00 am when I finally went into her bedroom and managed to convince her it was the middle of the night and she really needed to get some sleep for the party we were planning for her the next day. With the promise of party and cake she happily went to bed after a high five and a big loud kiss! For me this is the hardest part of this awful, brutal disease. Watching a loved one begin to lose their sense of the world and slowly lose the ability to understand, remember and communicate. To sit and watch the look of confusion and sadness that comes over Sharon’s face when she thinks no one is looking is a truly heartbreaking experience. Sharon Maree I am so sad for you. I can’t help but wonder what is to come and how we will all cope. I know that while you were blessed to have been brought into the Turner family and given such a great opportunity in life, we have been even more blessed to have had you in ours. I don’t think anyone could ever have imagined 61 years ago what an integral part of our family you would be. Every day you teach us the values of loyalty and unconditional love. Your innocence and sense of humour has made us laugh many times, your optimism and effervescence are truly humbling and your dance moves are amazing! Ever the Diplomat and hardworking to a fault! It is well known throughout the family that your parents couldn’t have survived the droughts without your help. So many people love you and I cannot take a walk around Broken Hill without being stopped many times by people who know and love you. You have touched the lives of so many people so effortlessly by just being your beautiful self. I am already missing our long road trips where we sing at the top of our voices for thousands of kms and my journeys will never be the same without you sitting beside me playing your Air Guitar. You have given your great nephews and niece such a wonderful gift by opening them up to your world and allowing them in. I love that they know all the words to Annie and The Sound of Music and that they think Charlie Chaplin is hilarious. I am grateful that this next Generation of Turners have been able to spend this time with you and get to know how amazing you are. Finally, I think about the mother out there who made a huge sacrifice 61 years ago and gave her daughter up for adoption. She probably does not know her daughter has Down Syndrome or how and where she lived her life. Sharon will never be able to contact you and relate her life story as is the right of other adoptees. I wish you could know we think of you and thank you for the wonderful gift that has been our Sharon Maree Turner. 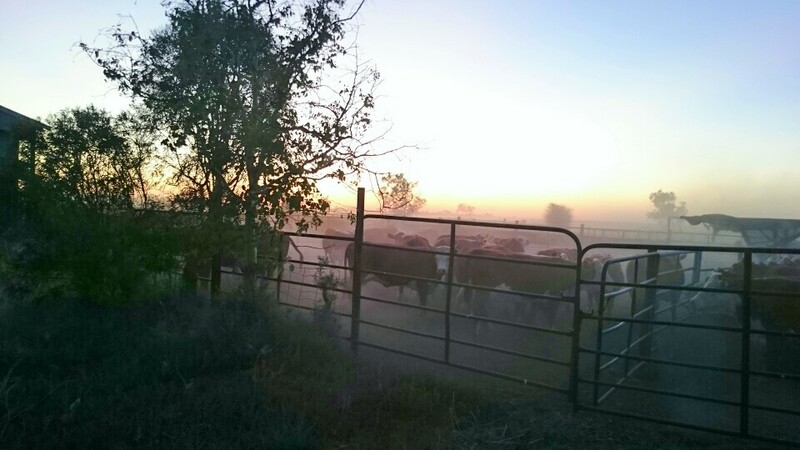 Although I have been AWOL for many happenings and activities at home during my time as State President, including most of our harvest this year, that was not the case for the annual calf marking day and associated mustering sessions. Methinks Jeff may have preferred I didn’t assist with either as the side-by-side we normally use for mustering overheated (which is probably an understatement) whilst in my control, which resulted in a change to our old Patrol wagon and as careful as I was trying to be I still managed to hit a stump! Jeff and Marc assure me they can’t find anything bent or broken, but the steering wheel now sits almost 180 degrees from its normal position! And then there’s the number of times I was in the wrong place with my trusty camera, trying to get the perfect action shot! Jeff quipped to the boys that the women’s weekly wouldn’t be invited back to the yards again. 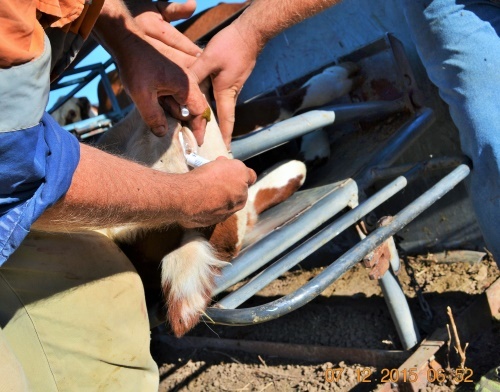 For all sorts of reasons marking is necessary for livestock and in all the years I have been here we have not seen any adverse effects, apart from the temporary separation of cow and calf i.e. both are more upset at being apart than the processes themselves. 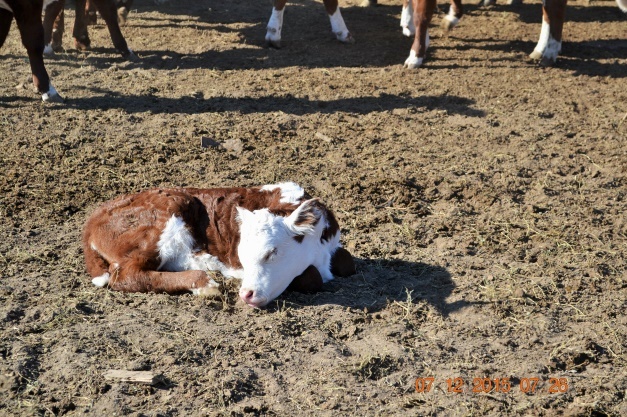 Many of the calves can be found napping whilst waiting for their siblings to pass through the race and calf cradle. 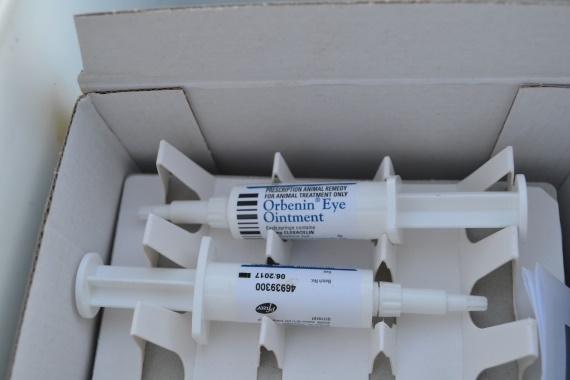 Apart from de-sexing and identification the exercise also provides us with an opportunity to do a brief individual health check, for things like bush ticks and pink-eye and provide appropriate treatment. Pink-eye or infectious bovine kerato-conjunctivitis (IBK) is a bacterial infection of the eye that causes inflammation and in severe cases temporary or permanent blindness. It is caused by the bacterium Moraxella bovis with at least seven strains having been identified.¹ Factors that make the condition worse are dust, flies, bright sunlight and any physical irritation e.g. grass seeds or thistles; all available in abundant supply in the great outdoors and all difficult to control over large areas. British and European breeds are more susceptible however genetics play a part with hooded eyes, longer lashes and darker pigmentation around the eye all helping to alleviate the problem. 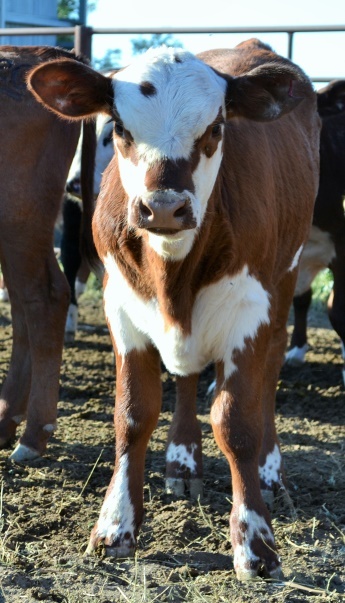 We love our Herefords and have, for many years now, when buying bulls, included these traits in our selection criteria. Apart from the serious side there are always things to make you smile like the grins between Josh and Marc as they shared the catching duties, especially some of the larger calves who think they can jump through the cradle. Marc was particularly chuffed with the 100% success rate i.e. no escapees to have to draft out again. Jeff’s relief at not only being able to hand over this most physical of tasks but also his sons’ capabilities – they’ve obviously been paying attention all these years! Roz in her fashion statement of shorts and high top boots – sorry Roz! Very young calves who don’t mind a pat and a chat while waiting their turn in the race. With 134 calves and their mother’s in various parts of the yards there is always a lot of dust (which carries its own gremlins for humans) and so we all end up with a fine coating all over, including about a teaspoon in each ear and nostril!! Like many activities on our property calf marking has always been a family affair, right from when the children were old enough to help (or so they thought) move the calves up the race. Roz has slotted into the team easily, but we missed Emma’s contribution this time round, it meant I couldn’t make the scones for morning tea! As dusty, hot and noisy as the yards are when doing any sort of work with the cattle, it’s another opportunity to work together, which can sometimes be a double-edged sword (those who have spent time there with spouses in particular will know what I mean) but one that I do not want to pass up, especially when it presents itself at the moment. Would you?